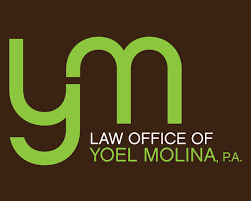 Immigration Client Intake - Law Office of Yoel Molina, P.A. Please create a file number using your initials and for numbers of your choice such as the last for of your social security number. Example "YM1234"
FInd us at 782 Nw 42nd ave. Suite 343, Miami Fla.